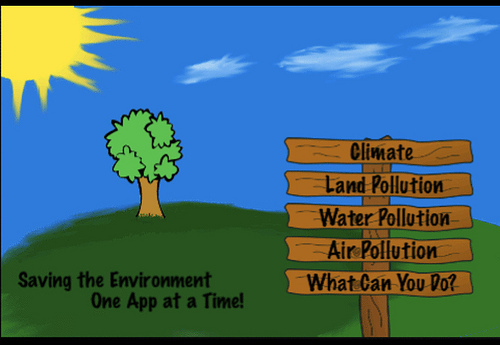 The federal Environmental Protection Agency has announced winners of a contest to create the best "Apps for the Environment." After a solicitation earlier this year, the agency drew 38 entries and 2,000 votes on them from website users. The main prerequisite was that entrants base the program at least in part on publicly available EPA data. 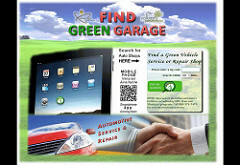 One of the entries that I liked (though it was not among the winners), for example, was Find Green Garage, which enables users to see the locations of auto repair facilities that have achieved green certification from various programs. Type in a zip code and the user will be shown a Google Map with icons identifying the qualifying shops; click on one of the icons for "type of service provided, name, location, phone number, the certifying authority, and the amount of greenhouse gas savings achieved to date. Hyperlinks take you to the shop's website, the certifying authority website, and additional information about how green savings are calculated." Another app, the Locus EPA Site Search Application, "lets you search for EPA-listed and -regulated sites (such as Superfund and Brownfields sites) in a given state or within a selected radius of a zip code. Users can also filter for sites within a specific EPA program. Results are shown on a Google map or in a chart. Clicking on a site on the map displays site specific information." I wanted to like Greener Pastures, which provides residential energy consumption information for homes listed for sale. I think it would have been so much more informative, though, if it had also incorporated the readily available data on transportation energy associated with homes' locations. Topping the list as best overall is Light Bulb Finder, submitted by Adam Borut and Andrea Nylund of Eco Hatchery. The tool helps users find appropriate, energy-saving replacements for standard light bulbs. Overall runner-up: Hootroot by Matthew Kling of Brighter Planet, a mapping program with a twist: "the app provides directions and carbon footprints for driving, transit, flight, and human-powered transportation options on any route." Best student app: EarthFriend, by Will Fry and Ali Hasan of Fry Development Comapny and Differential Apps. EarthFriend turns an amazing amount of EPA data covering a range of categories into interactive games and learning tools, accompanied by tips for green living. Runner-up, student app: Environmental Justice Participatory Mapping by Robert Sabie, Jr. of Western Washington University. This program maps potentially hazardous areas within or near the Navajo Nation, based on data from EPA's atlas of abandoned uranium mines. Popular choice (voted by EPA Environmental Apps website users): CG Search by Rajasekaran Bala of Cognizant Technology Solutions Corp, which allows users to learn and compare the air quality index, air pollutant levels, and energy consumption of various U.S. cities. I suspect that Steve Mouzon's informative Original G, which I profiled here some time back, was ineligible because it is news-based rather than data-based. Too bad. Images: U.S. EPA, Creative Commons. This post also appears on NRDC Switchboard, an Atlantic partner site.